Professional Zhonghu crafted by the World-Class Hu Maker, Wan Qixing. Made with Premium Aged Rosewood that gives it a rustic appearance through impeccable material selection and development, this Suzhou Aged Rosewood Zhonghu by Wan Qixing produces rich and deep sounds with mellow tonal colors. With over 50 years of Erhu making experience, Wan Qixing practiced Erhu making since the age of 15, won countless awards, and even earned the title of "International Erhu Master Maker". His Erhus have been pursued and praised by many professional performers and collectors, and even permanently displayed in museums. 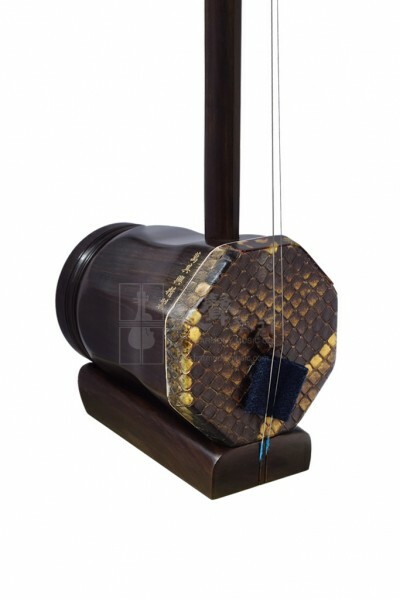 Whether it is a solo or concerto performance in various depths, this Zhonghu is capable of performing a range of musical expression. It is a very popular item among Zhonghu professionals, and is well-accessorized with a bow, a spare string set and bridge, a rosin and a case.